Sohrabuddin Sheikh, Kauser Bi and Tulsiram Prajapathi- these names would not have got national significance, in ordinary course of things. Ironically, their deaths, in alleged fake encounters by the officials of Gujarat State Police, gave a fresh lease of life to their names, continuing to send ripples of shock over the judiciary and the larger canvass of Indian politics. The public discussions about Sohrabuddin case gained momentum following the unprecedented press conference held by four senior judges of Supreme Court last week, which is widely speculated( reinforced by the admission of Justice Gogoi) to have been triggered by the grievance regarding allocation of case of Judge Loya, who had died while hearing Sohrabuddin case. On 26th November 2005, Sohrabuddin Sheikh was gunned down by Gujarat Police near Ahmadabad. The police version was that he was an associate of Lashkar-e-Toiba, who was planning to assassinate the then Gujarat Chief Minister Narendra Modi. So the version was that when police tried to intercept him, he opened fire and in the resultant exchange of fire he got killed. Rubabbuddin Sheikh, the brother of Sohrabuddin, was not prepared to accept the police version. According to him, Sohrabbuddin and his wife Kauser Bi were travelling from Hyderabad to Sangli(Maharshtra) in a bus on 23rd November 2005. During the journey, Gujarat police had picked up Sohrabbuddin and his wife from bus in Maharshtra. Sohrabuddin was thereafter brought to Ahmadabad and killed. The whereabouts of Kauser Bi was not known for several months. In that backdrop, Rubabbuddin Sheikh approached the Supreme Court, seeking investigation into the death of his brother. He also filed a habeas corpus petition, seeking production of his disappeared sister-in-law, Kauser Bi. It was also alleged that a third person was also travelling with Sohrabuddin and Kauser Bi, who, according to Rubabbuddin was one Tulsiram Prajapathi. As per records, Tulsiram Prajapathi was arrested from Ahmadabad on 25th November and was sent to Udaipur(Rajasthan) in connection with a crime. It was alleged that Tulsiram Prajapathi was a witness to the abduction and killing of Sohrabudding by Gujarat Police. Later, a year after Sohrabuddin’s killing, Tulsiram Prajapathi was also killed, while he was being brought to Udaipur to Ahamedabad on a transit warrant, in yet another ‘encounter’. The Supreme Court gave anxious consideration to the petitions, and was prepared to order production of the corpus of Kauser Bi. While so, on 30th April 2007, the State of Gujarat filed a report in the Court that Kauser Bi was dead and her body was burnt and disposed of in Illol Village on 29th November 2005(three days after Sohrabuddin’s death). The Court directed Geeta Johri, the head of the investigation team, to file periodic status reports regarding the progress of investigation( Rubabbuddin Sheikh v. State of Gujarat (2007) 4 SCC 318, Division Bench of Justice Tarun Chatterjee & Justice P.K Balasubramanyam). Geeta Johri sought permission of the court to interrogate Tulsiram Prajapthi, to explore his link with Sohrabbuddin murder. While Tulsiram Prajapathi was being brought to Ahmadabad for interrogation, he got killed by Gujarat Police. As per police version, he escaped during the journey, and later tried to open fire at police officials. Meanwhile, a charge sheet was hurriedly filed implicating some officers of Gujarat ATS(Anti-Terrorism Squad). Rubabbuddin sought for CBI enquiry to enquire into larger conspiracy. The Supreme Court expressed dissatisfaction at the shoddy manner of investigation. Therefore, the Court directed the Gujarat Police to hand over the investigation to the CBI(Rubabbuddin Sheikh v. State of Gujarat (2010) 2 SCC 200, Division Bench of Justice Tarun Chatterjee & Justice Aftab Alam). In the charge sheet filed by CBI, the then Gujarat Home Minister Amit Shah was arrayed as an accused, alleging that he was the lynchpin of the conspiracy. Meanwhile, Narmada Bai, the mother of Tulsiram Prajapathi approached the Supreme Court seeking CBI enquiry into her son’s death in encounter. Earlier, in the Rubabbuddin Case(2010) 2 SCC 200, the Supreme Court had discarded the contention of Gujarat Police that the third unknown person picked up along with Sohrabbuddin and Kauser Bi was not Tulsiram Prajapathi. In the said case, the Court had made the following crucial observation :- It also appears from the charge - sheet that it identifies the third person who was taken to Disha farm as Kalimuddin. But it does not contain the details of what happened to him once he was abducted. The possibility of the third person being Tulsiram Prajapati cannot be ruled out, although the police authorities or the State had made all possible efforts to show that it was not Tulsiram. In our view, the facts surrounding his death evokes strong suspicion that a deliberate attempt was made to destroy a human witness. The petition filed by Narmada Bai was allowed, and the Court directed the CBI to take over the investigation of the case relating to the murder of Tulsiram Prajapathi( Narmada Bai v. State of Gujarat (2011) 5 SCC 79, Division Bench of Justice P. Sathasivam & Justice Dr. B. S. Chauhan). Following the directions of the SC, the CBI filed a fresh FIR in Tulsiram Prajapathi case, and filed a charge sheet arraying Amit Shah as the first accused. Later, the FIR filed by the CBI in Tulsiram Prajapathi was quashed by the Supreme Court, on the ground that it amounted to registration of second FIR in respect to the same transaction( Amitbhai Anil Chandra Shah v. CBI (2013) 6 SCC 348). Coincidentally, this judgment and the judgement in Narmada Bai case ordering CBI investigation were authored by Justice P. Sathasivam. The judgment adopts a very strange reasoning that the FIR in respect of Tulsiram Prajapathi case could not have been registered when FIR in respect of Sohrabuddin case was already in existence. It was held that the FIR in Tulsiram Prajapathi case amounted to second FIR in respect of offence committed in the very same transaction in the FIR of Sohrabuddin case. It was reasoned that Tulsiram Prajapathi’s murder was a consequence of Sohrabuddin case, and hence both these were a part of same transaction. With due respect, it is opined that this view expressed by the Surpeme Court is erroneous. It is a highly stretched application of the rule of ‘no second FIR in offence of same transaction’. It is to be borne in mind that Tulsiram Prajapthi was killed in December 2006, almost a year after Sohrabbuddin’s killing. The conspiracy to kill Tulsiram Prajapath was hatched subsequently and separately, and the same was carried out in totally different circumstances. 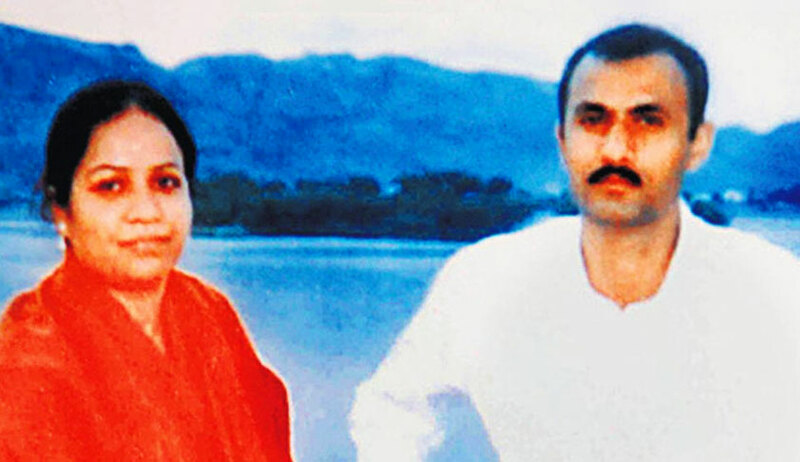 While it can be said that there is linkage between Tulsiram case and Sohrabuddin case, as Tulsiram was done away with the intention of eliminating a material witness of abduction and killing of Sohrabuddin, these two murders cannot be said to have been carried out as part of same transaction by any stretch of imagination. So, the quashing of the FIR in Tulsiram case is on erroneous grounds. The Court said that the final report filed in Tulsiram case should be treated as a supplementary charge sheet in Sohrabuddin case. The quashing of FIR in Tulsiram case assumed a lot of relevance. Otherwise, Amit Shah would have been forced to seek bail in Tulsiram case as well. Since the FIR was quashed, the benefit of first bail granted in Sohrabuddin case worked in Tulsiram case as well. This must have been a huge relief for Amit Shah, especially in view of the fact that the election campaigns for the then impending 2014 polls were gaining momentum. Justice Sathasivam, after retirement as the Chief Justice of India, is at present the Hon’ble Governor of Kerala, with effect from September 2014. While it is not proper to make imputations on Justice Sathasivam, the above developments certainly create a cloud of doubt. Situations like this make one wonder whether our judiciary is casual in ensuring that it does not conduct in such a manner to raise doubts about its objectivity, falling short of the sacrosanct rule that ‘caesers wife must be above suspicion’. The Supreme Court had ordered that the trial in Sohrabuddin case (which included Tulsiram case as well, following above said judgment) should be conducted by the same judge. But contrary to the directions, Judge Utpat was transferred during pendency of proceedings. Judge B H Loya assumed charge during June 2014. On 1st December 2014, Judge Loya was reported to have died due to cardiac arrest, while he was in Nagpur. In November 2017, ‘The Caravan’ magazine broke a story that the death of Judge Loya happened in mysterious circumstances. Amit Shah was given a discharge by the CBI Court on 30th December 2014 on the ground that there was no evidence against him. During August 2017, the accused police officers of Gujarat ATS were also discharged. The CBI has not challenged the discharge of Amit Shah during the past three years. Rubabbuddin Sheikh had filed a revision before the Bombay High Court challenging the discharge. Later, he expressed his intention to withdraw the revision and the same was dismissed as withdrawn(Order dated 23.11.2015 in Revision Application No.413/15). It was submitted on its(CBI) behalf that Amitbhai Shah presided over an extortion racket. In his capacity as the minister for Home, he was in a position to place his henchmen, top ranking policemen at positions where they could sub-serve and safeguard his interests. He was part of the larger conspiracy to kill Sohrabuddin and later on his wife and finally Tulsiram Prajapati, as he was a witness to the abduction of Sohrabuddin and his wife by the police party. Taking advantage of his position as the minister, he constantly obstructed any proper investigation into the killings of Sohrabuddin and Kausarbi even when the matter came to the notice of this Court and this Court issued directions for a thorough investigation into their killings. It was at his behest and under his pressure that the top ranking police officers tried to cover up all signs of his involvement in the killings of Sohrabuddin, Kausarbi and Tulsiram Prajapati and systematically suppressed any honest investigation into those cases and even tried to mislead this Court. Even after the investigation was handed over to the CBI, he made things very difficult for them and the CBI was able to do the investigation against great odds. It is further submitted that the phone records pertaining to the periods when Sohrabuddin and his wife were abducted, Sohrabuddin was killed and his wife was killed and her body was disposed of by burning and of the later period at the time of killing of Prajapati showed Amitbhai Shah inregular touch with the policemen, accused in the case, who were actually executing the killings and the other allied offences. There was no reason for the minister for State of Home to speak directly on phone to police officers, far below him in the chain of command and the explanation given on his behalf in regard to those phone calls was on the face of it false and unacceptable. Apart from the phone records, there were many other materials and incontrovertible circumstances to establish the charges against Amitbhai Shah. The CBI, which had hotly contended as above, is now in deep slumber. It is not suggested that Amit Shah or other accused are guilty of the above said allegations. But, the matter should get a proper closure, at least to allay the doubts in the mind of common man regarding the matter. A relook by a higher judicial forum is absolutely necessary in this matter. When a final report prepared on the basis of a SC monitored investigation is discarded by the Trial Court at the threshold level, should not the investigating agency feel aggrieved? Instances like this reinforce the rebuke that CBI is a ‘caged parrot speaking in his masters voice’. In a recent development, Bombay Lawyer’s Association has filed a PIL in the Bombay High Court seeking to direct CBI to file revision against discharge of Amit Shah. Conflict of interest by eminent lawyers? The fake encounters gave rise to numerous litigations at Apex Court. Senior Counsel Harish Salve was briefed to appear for Rubabbuddin, as discernible from the records of (2007) 4 SCC 404. However, Salve appeared for Amit Shah in 2016, to oppose the petition of Harsh Mander. There is an apparent conflict of interest in both the appearances. Harish Salve was earlier appointed as amicus curie by the Supreme Court for monitoring the investigation in the Gujarat riots case. Then also, there were complaints regarding his impartiality as amicus, because he was simultaneously defending the Gujarat government in the Ishrat Jahan encounter case. Likewise, Senior Counsel Pallav Sisodia had appeared for Amit Shah in the CBI’s petition filed in Supreme Court to cancel his bail( CBI v. Amitbhai Anil Chandra Shah (2012) 10 SCC 545). Curiously, it is Pallav Sisodia who is appearing in the present petition filed in the Supreme Court seeking investigation into the death of Judge Loya, who died while hearing Sohrabuddin case. “I shall continue to appear in the matter of Judge Loya for petitioner Bandhuraj Lone to press for an independent probe. As the matter is sub- judice and everyone shall have opportunity to watch and report submissions in open court, I do not consider it appropriate to make further comment on the merits of the matter. As for suggestion of conflict of interest on my part, I am not able to understand the underlying premise. It appears a very convoluted logic to construe a prayer for an independent probe as an exercise for or against any of the suspects in the matter. Harish Salve had sounded critical of the press conference made by the judges, and in his interview given to Republic TV stated that it resulted in putting the entire system under a cloud. But, when the conduct of eminent lawyers held in high esteem appears to be under cloud by conflict of interest, the laments about the entire system being put under cloud sound hollow. The allegations, if true, reveal a deep rot in the Indian system. The extensive findings and observations made by the Supreme Court regarding the nefarious methods adopted to stonewall and deflect investigation and trial are shocking. It means that the cherished constitutional values of justice, liberty, equality and fraternity are remaining frozen in the text of constitution, and have not permeated into the social psyche to form a way of life. Situations like this cause disenchantment with the system so as to create a feeling of constitutional nihilism. So, a proper dealing of the matter is necessary to redeem the foundational values of Indian Republic. Till then, the ghosts of Sohrabbuddin, Kauser Bi and Tulsiram Prajapathi will continue to haunt Indian judiciary and polity. At least, their cases should get a decent burial! Manu Sebastian is a lawyer practicing at Kerala High Court.